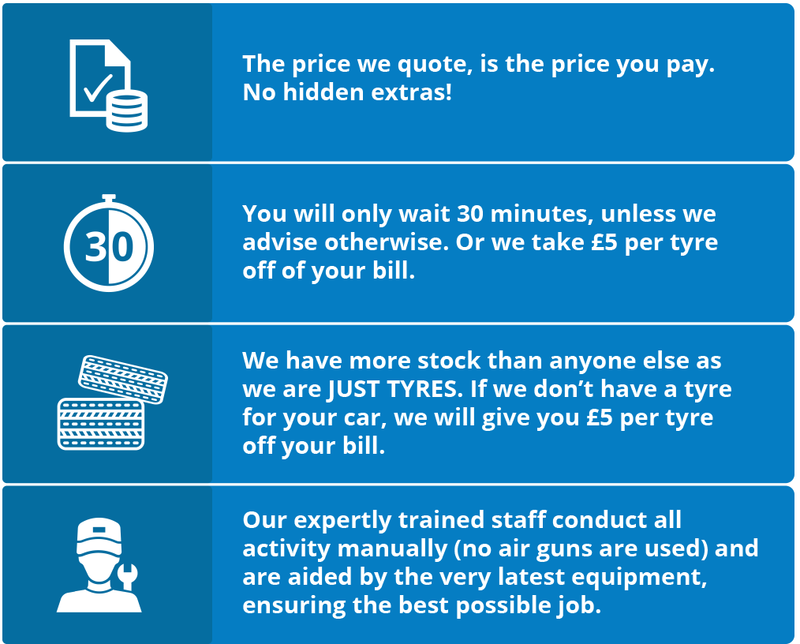 Welcome to Just Tyres Lewes, where you will be served by our friendly team of experts. The team at Lewes are knowledgeable and efficient, meaning that if you need advice on your tyres or would like our technicians to carry out a FREE brake check, you can rest assured that you'll be in safe hands. We only supply and fit car, 4x4 and van tyres and brakes. This means we offer you expert knowledge and a wide choice of tyre brands and quality brake components. Our tyre fitting centre in Lewes is found on Malling Street and has plenty of customer parking available. Just Tyres Lewes provides a wide range of products at competitive prices, and we can refund the difference on any tyre purchased within a 20-mile radius of our Lewes fitting centre. You just need to bring us a written quote on the price within 7 days of the initial purchase, while online quotes are not accepted. If you are looking to purchase tyres in Lewes, contact us today. We'll be happy to offer advice or assistance and carry out a FREE tyre check at your convenience. If you would like to buy your tyres online and have them fitted at our tyre fitting centre in Lewes, just enter your tyre size into the tyre search box to view the right tyres for your vehicle, buy online and have them fitted with us.